When Fran suspects her best friends man of hitting on her, shes left with a decision that may tarnish their friendship. After the roof crashes in at Frantastic Flowers, Fran pays for the repairs by selling Peter's spot in the family burial plot. The move upsets Peter, forcing Fran to get creative if she ever wants to rest in peace again. Fran is shocked to discover that Peter is not out to his family so, when his brother Matthew is in town, she pushes him to finally come out. Once Matthew realizes that Fran is single, things between them heat up. After a big blowout with her husband, Dori moves into Fran and Peter's house. With Glen and Dori unwilling to resolve their fight, Fran steps in to get her parents back together. When Glen mistakes a dying battery for a cricket in his phone, Fran worries that her father is finally getting old... 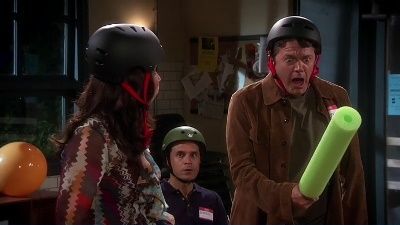 But when he buys a motorcycle, Fran is afraid that he may have finally lost his mind. Fran sets Peter up with her hairdresser; Fran invites herself out on a date. After a chance meeting, Fran gives Elliot an ultimatum: Rendezvous with her in Vegas or lose her for good. But when Fran and Peter's wild night leads to unexpected consequences, Fran's chance at love may be jeopardized forever. Fran has no interest in facing her old nemesis at her college reunion, until she runs into Elliot and he agrees to be her faux fiance for the night. What could go wrong? After all, they're just friends... or are they? Fran meets an adorable New Yorker named Frankie (Ralph Macchio), who is opening a pizza parlor in LA. Just as Fran and Frankie start to get romantic, Elliot pops back into Fran's life and says he is finally ready to commit. 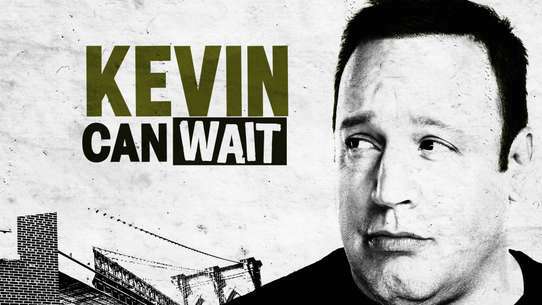 A wealthy client monopolizes Peter's time; Fran becomes a regular at a support group for the wrong reasons. Peter sets up Fran for a date with a psychologist, which just pushes her back to Elliot. 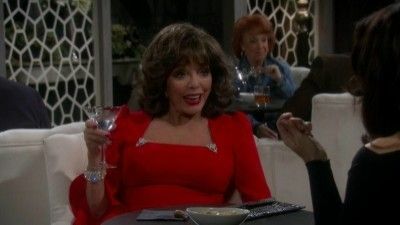 Elliot asks Fran to join him at therapy to work on his commitment issues, but the therapist (who turns out to be Fran's failed date) is more interested in helping Fran figure out why she pursues unavailable men like Elliot. Fran comes across some old love letters from her high school boyfriend and decides to contact him. The guy is perfect and Fran believes it was meant to be, until he reveals a secret of his own. Fran runs into Elliot and realizes she still isn't over him which prompts her to try online dating. She can't stop thinking about Elliot so she decides to pursue him again but it leads to an awkward situation at his house. Fran's romance with an outdoorsman is met with skepticism by Peter and her family, but a weekend camping trip should prove whether he's Mr. Right—or Mr. Wrong. 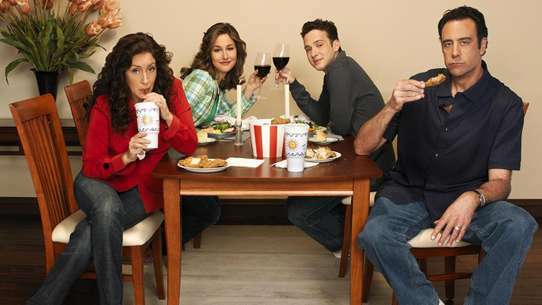 Fran throws a dinner party to impress Elliot's parents; Elliot's mother's ring goes missing. 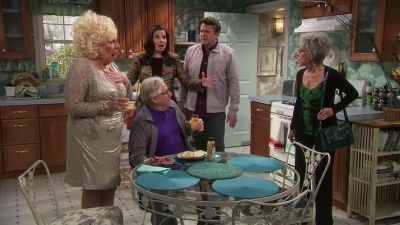 When Fran forgets to make Mother's Day brunch reservations, an old friend suggests she make it up to her mother by spending a day having fun with her. But Fran quickly realizes that her mothers idea of fun is very different from her own. When Fran finds herself torn between Elliot and Frankie, she realizes she has to finally make a choice between her two suitors. She feels confident about the choice until Peter's new boss makes her question the decision. When Judi's college boyfriend shows up to rekindle their romance years after he left her, Fran pushes Judi to pursue it. When he stands Judi up again, they assume he's back to his old tricks or is there another explanation? When it appears that Cesar is having problems with his wife, Teresa, Peter advises Fran to stay out of it. But Fran can't stop herself from butting in. As Fran comes to terms with the fact that she wont have kids, she decides to embrace the next exciting chapter of her life with Peter. But when Peter agrees to donate sperm so an old friend can have kids, Fran wonders if she closed that chapter too soon. Peter tells Fran that they need to sell her engagement ring to pay taxes; Fran's plans. Fran follows up a startling encounter with her neighbor with an unannounced trip to London to visit her fiancé, Elliot, but she's the one who's in for a surprise. When Fran wins a cruise for two and decides to go alone, much to Peter and Judy's dismay, she soon realizes being alone isnt all its cracked up to be. Meanwhile, Dori sets out to be the next Doris Roberts when she performs in a local community show.